Sonata form (also sonata-allegro form or first movement form) is a large-scale musical structure used widely since the middle of the eighteenth century (the early classical period). While it is typically used in the first movement of multi-movement pieces, it is sometimes used in subsequent movements as well—particularly the final movement. The teaching of sonata form in music theory rests on a standard definition and a series of hypotheses about the underlying reasons for the durability and variety of the form—a definition that arose in the second quarter of the nineteenth century. There is little disagreement that on the largest level, the form consists of three main sections: an exposition, a development, and a recapitulation; however, beneath this, sonata form is difficult to pin down in a single model. 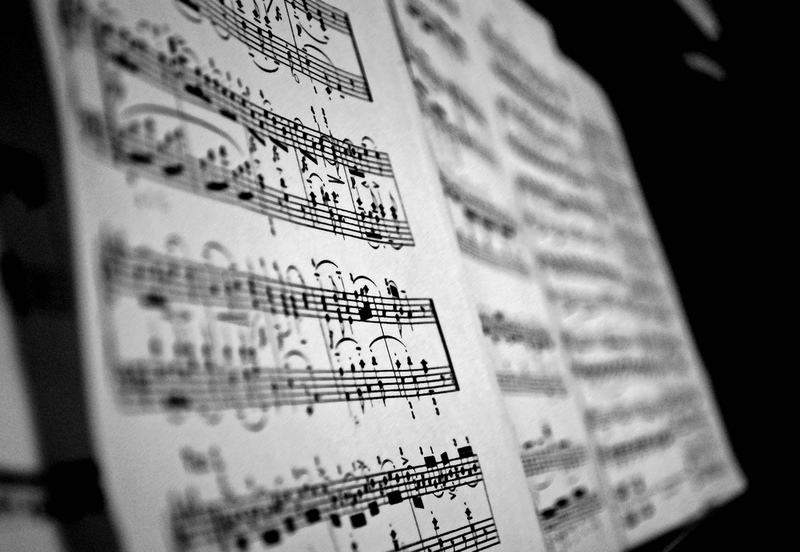 Since its establishment, the sonata form became the most common form in the first movement of works entitled “sonata,” as well as other long works of classical music, including the symphony, concerto, string quartet, and so on. Accordingly, there is a large body of theory on what unifies and distinguishes practice in the sonata form, both within eras and between eras. Even works that do not adhere to the standard description of a sonata form often present analogous structures or can be analyzed as elaborations or expansions of the standard description of sonata form. According to the Grove Dictionary of Music and Musicians, sonata form is “the most important principle of musical form, or formal type, from the classical period well into the twentieth century.” As a formal model it is usually best exemplified in the first movements of multi-movement works from this period, whether orchestral or chamber, and has, thus, been referred to frequently as “first-movement form” or “sonata-allegro form” (since the typical first movement in a three- or four-movement cycle will be in allegro tempo). However, as what Grove, following Charles Rosen, calls a “principle”—a typical approach to shaping a large piece of instrumental music—it can be seen to be active in a much greater variety of pieces and genres, from minuet to concerto to sonata-rondo. It also carries with it expressive and stylistic connotations: “sonata style,” for Donald Tovey as for other theorists of his time, was characterized by drama, dynamism, and a “psychological” approach to theme and expression. Although the Italian term sonata often refers to a piece in sonata form, it is essential to separate the two. As the title for a single-movement piece of instrumental music—the past participle of suonare, “to sound,” as opposed to cantata, the past participle of cantare, “to sing”—”sonata” covers many pieces from the baroque and mid-eighteenth century that are not “in sonata form.” Conversely, in the late eighteenth century or “classical” period, the title “sonata” is typically given to a work composed of three or four movements. Nonetheless, this multi-movement sequence is not what is meant by sonata form, which refers to the structure of an individual movement. This model was derived from study and criticism of Beethoven’s piano sonatas. The development then re-transitions back to the recapitulation where the thematic material returns in the tonic key, and for the recapitulation to complete the musical argument, material that has not been stated in the tonic key is “resolved” by being played, in whole or in part, in the tonic. The term ‘sonata form’ is controversial and has been called misleading by scholars and composers almost from its inception. Its originators implied that there was a set template to which classical and Romantic composers aspired, or should aspire. the second subject group recapitulated in a key other than tonic, as in Richard Strauss’s 2nd symphony. and an extended coda section that pursues developmental, rather than concluding, processes, often found in Beethoven’s middle-period works, such as his third symphony. Through the Romantic period, formal distortions and variations become so widespread (Mahler, Elgar and Sibelius among others are cited and studied by James Hepokoski) that ‘sonata form’ as it is outlined here is not adequate to describe the complex musical structures that it is often applied to. The Introduction section is optional, or may be reduced to a minimum. If it is extended, it is, in general, slower than the main section, and frequently focuses on the dominant key. It may or may not contain material that is later stated in the exposition. The introduction increases the weight of the movement, and also permits the composer to begin the exposition with a theme that would be too light to start on its own, as in Haydn’s Symphony No. 103 (“The Drumroll”) and Beethoven’s Quintet for Piano and Winds Op. 16. The introduction usually is not included in the exposition repeat. On occasion, the material of introduction reappears in its original tempo later in the movement. Often, this occurs as late as the coda, as in Mozart’s String Quintet in D major K. 593, Haydn’s “Drumroll” Symphony, or Beethoven’s Piano Sonata No. 8 (“Pathétique”). First theme (G major) and transition (to D major) from Haydn’s Keyboard Sonata, Hob. XVI: G1, I, mm. 1–12 . Codetta, K – the purpose of this is to bring the exposition section to a close with a perfect cadence in the same key as the second group. It is not always used, and some works end the exposition on the second subject group. The exposition is commonly repeated, particularly in classical works, and more likely in solo or chamber works than for concerti. Often, though not always, the last measure or measures of the exposition are slightly different between the repeats, one to point back to the tonic, where the exposition began, and the second to point towards the development. In general, the development starts in the same key as the exposition ended, and may move through many different keys during its course. It will usually consist of one or more themes from the exposition altered and on occasion juxtaposed and may include new material or themes – though exactly what is acceptable practice is a point of contention. Alterations include taking material through distant keys, breaking down of themes and sequencing of motifs, and so forth. The development varies greatly in length from piece to piece and from time period to time period, sometimes being relatively short compared to the exposition (e.g., the first movement of Eine kleine Nachtmusik, K 525/i by Mozart) and in other cases quite long and detailed (e.g., the first movement of the “Eroica” Symphony by Beethoven). Developments in the classical era are typically shorter due to how much composers of that era valued symmetry, unlike the more expressive romantic era in which development sections gain a much greater importance. However, it almost always shows a greater degree of tonal, harmonic, and rhythmic instability than the other sections. In a few cases, usually in late classical and early romantic concertos, the development section consists of or ends with another exposition, often in the relative minor of the tonic key. At the end, the music will usually return to the tonic key in preparation of the recapitulation. (On occasion it will actually return to the sub-dominant key and then proceed with the same transition as in the exposition). The transition from the development to the recapitulation is a crucial moment in the work. The last part of the development section is called the retransition: It prepares for the return of the first subject group in the tonic, most often through a grand prolongation of the dominant seventh. In addition, the character of the music would signal such a return. Exceptions include the first movement of Brahms’s Piano Sonata No. 1, Op. 1. The general key of the movement is C major, and it would then follow that the retransition should stress the dominant seventh chord on G. Instead, it builds in strength over the dominant seventh chord on C, as if the music were proceeding to F major, only to take up immediately the first theme in C major. Occasionally, the retransition can begin with a false recapitulation, in which the opening material of the first theme group is presented in a key other than the tonic. The surprise that ensues when the music continues to modulate toward the tonic can be used for either comic or dramatic effect. Transition – often the transition is carried out by introducing a novel material: a kind of an additional brief development. It is called a “secondary development”. Second subject group – usually in roughly the same form as in the exposition, but now in the home key, which sometimes involves change of mode from major to minor, or vice versa, as occurs in the first movement of Mozart’s Symphony No. 40 (K. 550). More often, however, it may be recast in the parallel major of the home key (for example, C major when the movement is in C minor like Beethoven’s Symphony No. 5 in C Minor, op. 67/I). Key here is more important than mode (major or minor) – the recapitulation provides the needed balance even if the material’s mode is changed, so long as there is no longer any key conflict. After the closing cadence, the musical argument proper is said to be completed. If the movement continues, it is said to have a coda. The Coda is optional. After the final cadence of the recapitulation, the movement may continue with a coda which will contain material from the movement proper. Codas, when present, vary considerably in length, but like introductions are not part of the “argument” of the work. The coda will end, however, with a perfect authentic cadence in the original key. Codas may be quite brief tailpieces, or they may be very long and elaborate. An example of the more extended type is the coda to the first movement of Beethoven’s Eroica Symphony. Explanations for why an extended coda is present vary. One reason may be to omit the repeat of the development and recapitulation sections found in earlier sonata forms of the eighteenth century. Indeed, Beethoven’s extended codas often serve the purpose of further development of thematic material. Another role that these codas sometimes serve is to return to the minor mode in minor-key movements where the recapitulation proper concludes in the parallel major, as in the first movements of Beethoven’s 5th Symphony or Schumann’s Piano Concerto – or, rarely, to restore the home key after an off-tonic recapitulation, such as in the first movements of Brahms’ Clarinet Quintet and Dvorak’s Symphony No. 9.